Every Sunday morning on the second floor in the Student Center, our students gather together for a time of worship. From biblical teaching and group discussion to lively games and pancakes, Fellowship Students is a place for students to encourage each other in their relationship with Jesus Christ. Students can get further connected to God and each other by joining a Life Group on Wednesday nights. 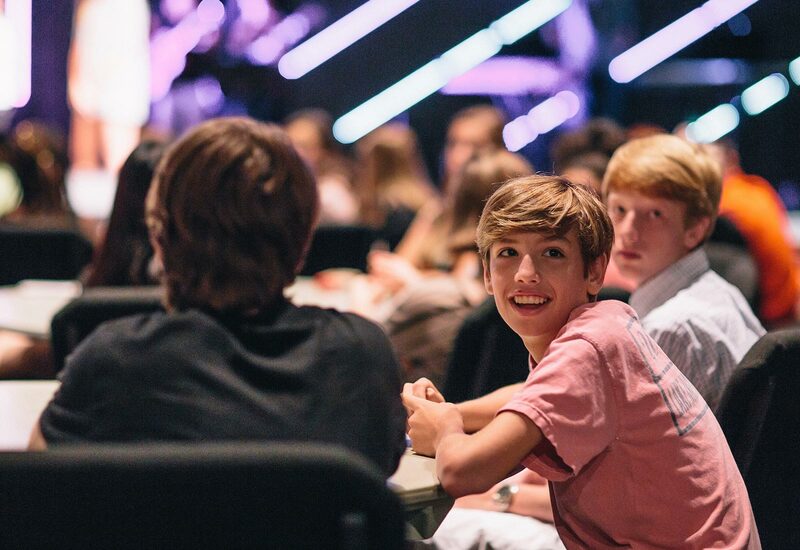 During Life Groups, students eat dinner together, build community, and have a time of worship.